BP announced it is launching an effort to make a vast quantity of environmental data collected from the Gulf of Mexico publicly available and easily accessible. The data were collected by federal and state agencies and BP through the Deepwater Horizon Response and Natural Resource Damage Assessment (NRDA). Since April 2010, researchers at sea, on land, and in the air have collected an unprecedented amount of data on environmental conditions in the Gulf, including more than 2.3 million lines of water chemistry data being published today in the first release. 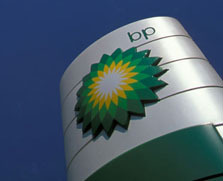 The data will be published on the BP website at http://gulfsciencedata.bp.com - This link opens in a new window. The data were collected to help guide clean-up efforts under the direction of the U.S. Coast Guard and to support efforts by state and federal agencies and BP to evaluate potential injury to natural resources in the Gulf of Mexico as part of the NRDA process.